You’ll feel like you’re a part of the neighborhood when you stay at Royal Frenchmen, a lovely new addition to Frenchmen Street, just across the street from breathtaking Washington Square Park. 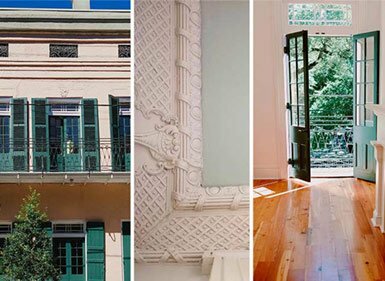 Surrounded by charming Marigny cottages and just steps from jazz and blues clubs frequented by visitors and locals alike, Royal Frenchmen is the perfect setting for those seeking an authentic New Orleans experience. Take your pick of 16 stylishly appointed guestrooms and suites. Enjoy coffee, breakfast or a cocktail in the stunning interior courtyard. Amenities include 24-hr concierge service, complimentary breakfast daily and convenient on-site parking.